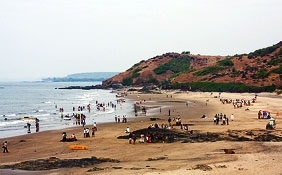 Nagoa beach is near Diu city. 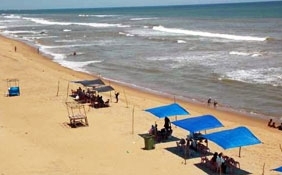 Diu is about 9 km from Delwada, the nearest railhead,Diu is around 225 km from Bhavnagar. 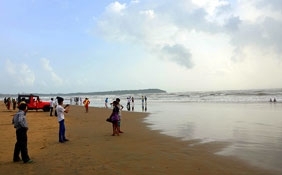 Nagoa beach in Diu is horse shoe shaped bordered by palm hoka trees. 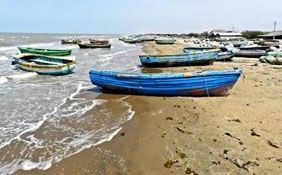 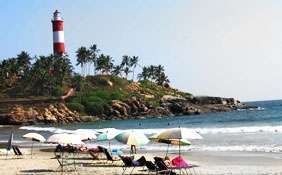 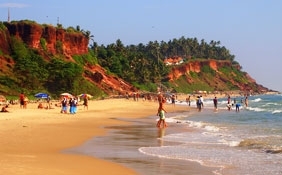 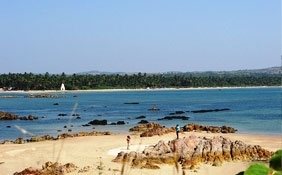 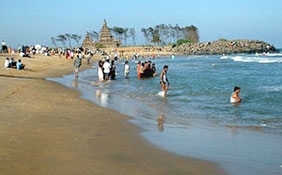 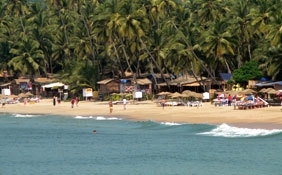 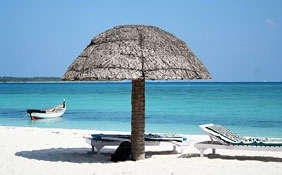 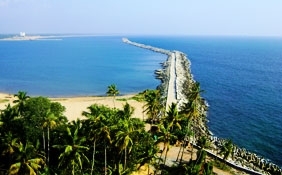 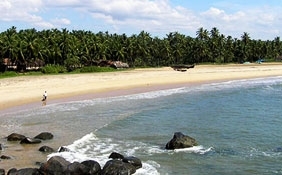 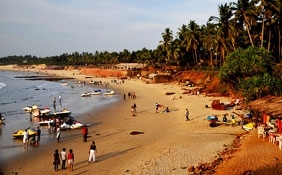 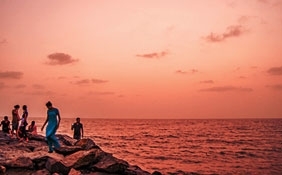 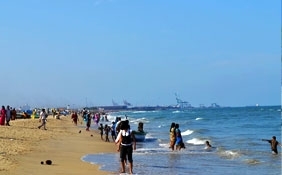 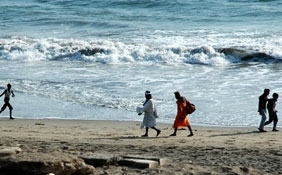 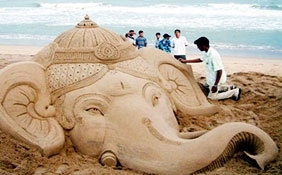 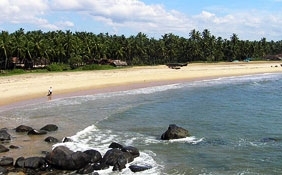 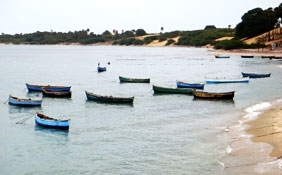 Located in Bucharwada village, Nagoa beach offers solitude and serenity to weary tourists. 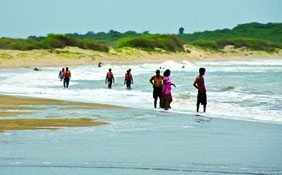 This beach is a 20 minutes drive from Diu city. 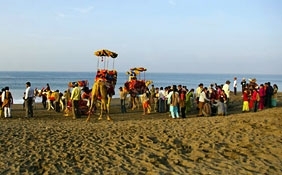 Regular bus services carry passengers to Diu from Delwada and Una. 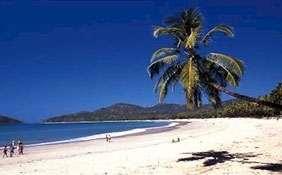 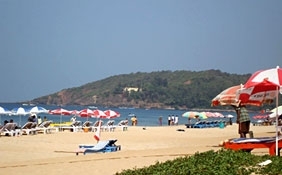 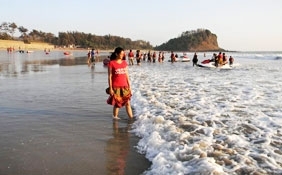 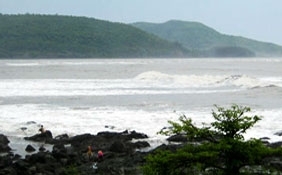 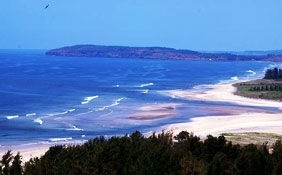 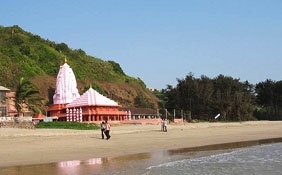 Nagoa beach is located at an estimated distance of 80 km from Veraval. 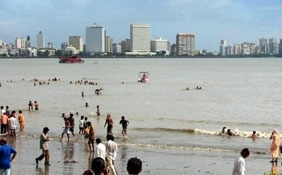 Diu at a distance of 225 km from Bhavnagar, and 495 km from Ahmedabad is reachable by road and air. 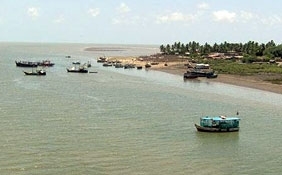 The nearest railway station Delawada 9 km away is connected by meter gauge track to Veraval about 85 km distant. 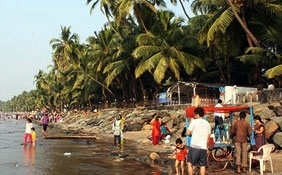 Veraval is connected by regular train services from Mumbai and Ahmedabad. 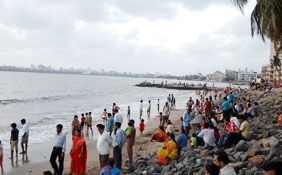 Diu also is connected by flights to Ahmedabad and Mumbai. 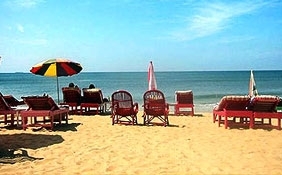 Radhika Beach Resort, Kohinoor, The Resort Hoka, and Hotel Suzlon Beach are the options for lodging and boarding in Diu. 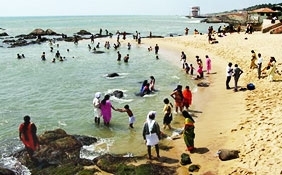 Nagoa beach in Diu being horse-shoe shaped has clam water ideal for swimming. 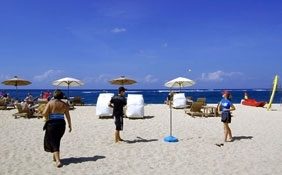 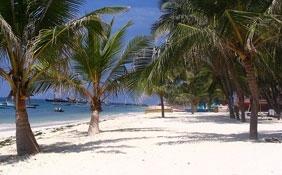 Sailing, boating, and water skiing are other activities tourists can enjoy. 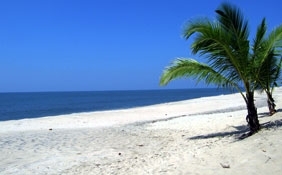 The not so adventurous tourists can laze in the sea beach enjoying the balmy breeze and the sight of swaying palm trees. 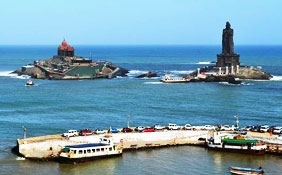 The Church of St. Francis of Assisi, St. Paul's Church and St. Thomas museum are the primary attractions of this place. 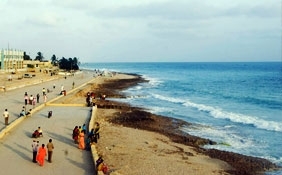 Pani Kotha, INS Khukri Memorial, and Sea Shell Museum are additional attractions of Diu. 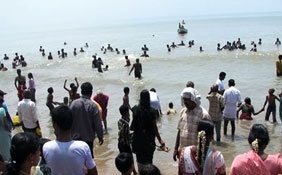 Nagoa beach is well known for 'hoka' and 'rukhada' trees which are originally African and brought to India by Arabian traders.